You WILL Catch a Fish! There's a myth behind women and children (fishing). I personally think they catch fish just as well as anyone, and sometimes even better than the professional fishermen that want to do it their way. They listen to our mates, they get in the chair, they turn their rods and their reels the correct way - because there's a coach right there teaching you. 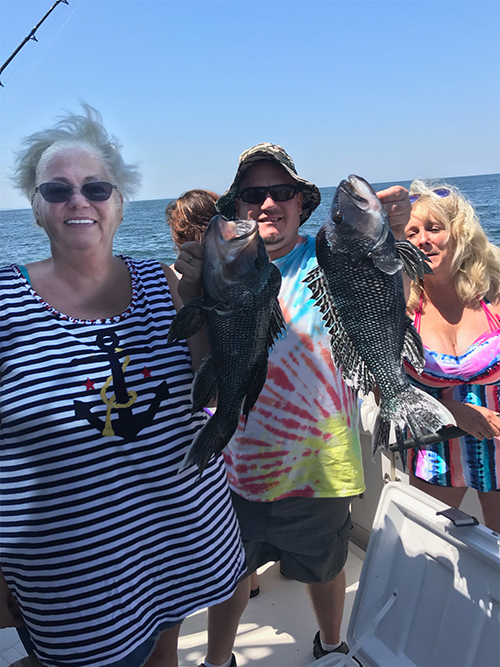 Some of the women and children to come on board have caught some of the biggest fish. Look at the 58-pounder that was caught last year by a juvenile who was only 12 years old! Some women have come on with 55 and 56 pound fish. They listen and do it right. We have groups of women that are chartering this boat because of the way we catch fish, the cleanliness of the boat - these are all important factors. 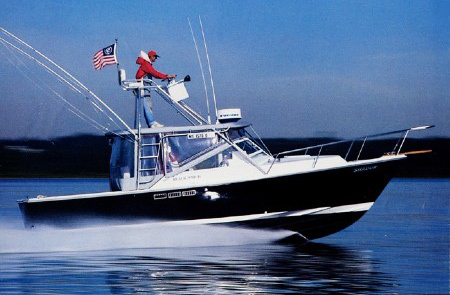 Islander I: 42' Bertram, 2 Twin Diesels, State-of-the-Art Electronics. Clean & Comfortable, Air Conditioned and Carpeted. Even a 40" Flat Screen TV & Satellite Radio. Clean, comfortable and can accommodate up to 5 passengers. Come aboard a BIG 42' boat for a small price! The crew of the Islander takes pride in our reputation as one of the finest charter services on the Connecticut Shoreline. 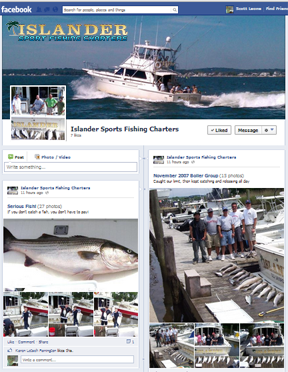 We fish for striped bass, bluefish, blackfish, scup, tuna, shark, fluke, marlin and wahoo. 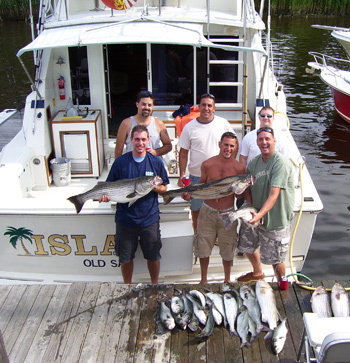 We cater to the first-time fisherman as well as the seasoned professional. 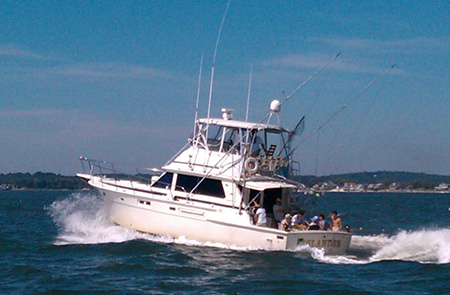 Our 42-ft Bertram will provide you with the most rewarding and comfortable experience of your life! When fishing, Penn & Shimano tom tackle is available and we have high catch ratios! 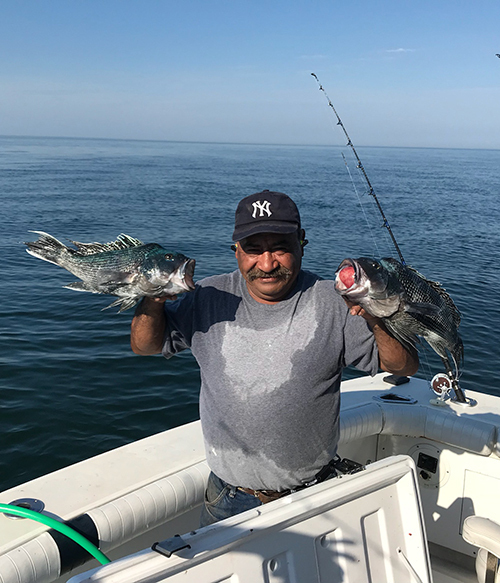 Captain Wayne is a year after year tournament winner, fishing against hundreds of competitors; being his passion, he ALWAYS catches fish! Come fish with a proven winner! And if YOU don't catch a fish, you don't have to pay! Swordfish - back again he goes!